We design and create sterling silver wire wrapped jewelry. With a focus on natural gemstones and one-of-a-kind designs, the sterling silver pendants we create will catch your eye at first glance. All of our pendants are created by hand wrapping sterling silver wire around beautifully shaped natural gemstones, faceted gemstones stones or raw crystals. Each stone is unique so no two will ever be exactly alike, reflecting your own unique character! 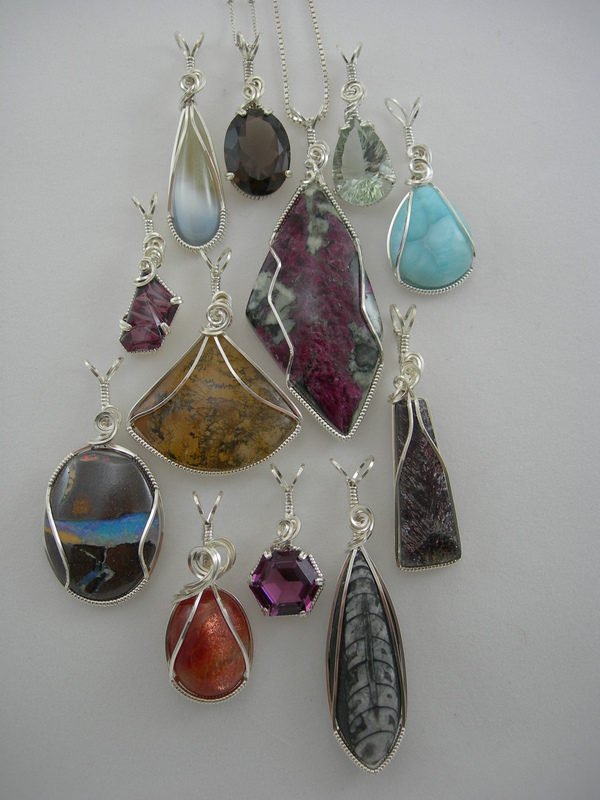 Border wrapped pendants are crafted by wrapping sterling silver wire along the edge of the natural gemstone or crystal. Thus creating a design settinog that exudes simplicity and elegance while showing off the gorgeous gemstone it cradles. 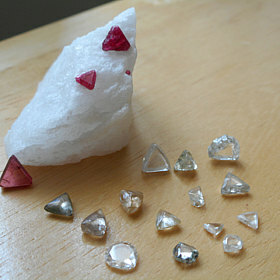 Prong wrapping is also used to show off the elegance and sophistication of faceted natural gemstones. Using silver wire to create the prong setting always enhances the appearance and size of the stone it holds. We can create custom or coordinating pieces for bridal parties and other groups. We will gladly accept your special orders to make your event one to remember!